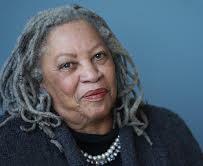 NEW YORK (AP) — Nobel laureate Toni Morrison has won a lifetime achievement honor presented by the MacDowell artist colony. The Peterborough, New Hampshire-based MacDowell Colony announced Thursday the 85-year-old Morrison is the 57th recipient of the Edward MacDowell Medal. The MacDowell Colony’s mission is to nurture the arts by offering talented artists an inspiring environment in which they can produce enduring works of the imagination. The colony will present Morrison her award on Aug. 14. Previous winners include Robert Frost, Aaron Copeland and Georgia O’Keeffe.